Welcome home to this bright, open and spacious colonial located on a quiet cul-de-sac in valley view estates. The dramatic foyer with an open staircase leads to the formal living room with stylistic amenities such as crown molding, marble gas fireplace, hardwood floors and 9 foot ceilings. A study features a wall of impressive cherry built in cabinetry. The formal dining room with coffered ceiling and adjacent butler's pantry is wonderful for any size gathering. Towering ceilings and a wall of windows along with a gas fireplace showcases the gathering room with double french doors that lead out to a flagstone patio. The gorgeous kitchen has an abundance of light cabinetry, a center island and contrasting dark granite countertops, other highlights include double ovens, 5 burner gas range and a sub-zero refrigerator. An adjoining sunny breakfast room with wrap around windows complete the space. The main suite is made cozier with one of the houses 3 fireplaces, dual walk-in closets and vaulted ceilings. The sumptuous master bath has new marble tile, jacuzzi soaking tub and an oversized shower. 3 additional ample sized bedrooms accompany the master each with their own full bath and one with an entrance to an upper level deck. The walk-out lower level offers a wet bar, entertainment space, plenty of storage space and a full bath. Outdoor living has met it's match with this thoughtfully designed yard which features flagstone patios, tennis court and opens to community open space offering long distance views. This is an incredible opportunity in the heart of upper makefield and close to i-95 and newtown. Classic design and exemplary workmanship, top quality appointments and a superior setting combine to create a fabulous new construction home that is the perfect blend of effortless luxury and graceful elegance. Set on a beautiful 1. 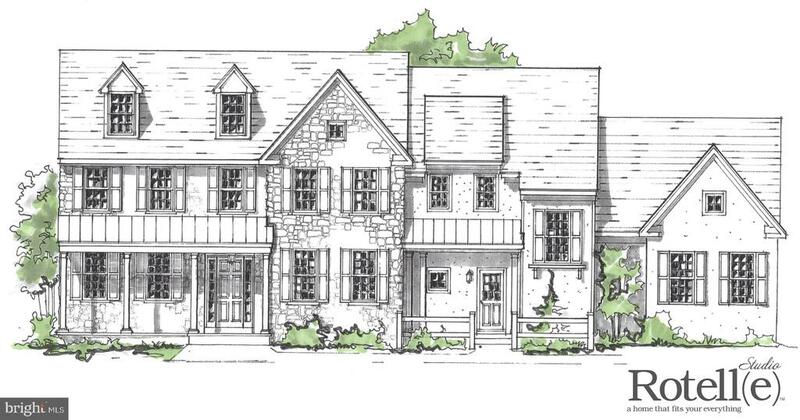 84 acre lot in upper makefield bucks county just minutes to washington crossing, this new construction home will be discovered down a winding country road dotted with some of the county's most beautiful estates homes. The builder, silo homes, specializes in new construction focusing on the unique needs of homeowners in our area. They focus on exclusive residential developments and exceptional custom homes and will speak with you in order to customize this particular home to suit your desires. Silo custom homes strongly believes in providing high quality in the areas the homeowner can't see, spending time and money on superior building materials and construction details behind the walls. The result is a beautiful home that will stand the test of time and minimize the ongoing maintenance costs associated with homeownership. Features include: 2'x6' construction, hardieplank exterior with your choice of facade, anderson double hung windows, two zone heat and tankless water heater. The gourmet kitchen includes century kitchen cabinetry and granite countertops, top of the line kitchen aid appliances with cooktop, stainless range hood, double wall ovens and more. The master suite is elegant with spacious sitting room and walk in closets and the master bath is impeccable. Frameless glass doors surround a walk in shower with rain shower head and the bath fixtures also include dual sinks in a handsome vanity as well as a freestanding tub. A fourth bath is optional in this model. 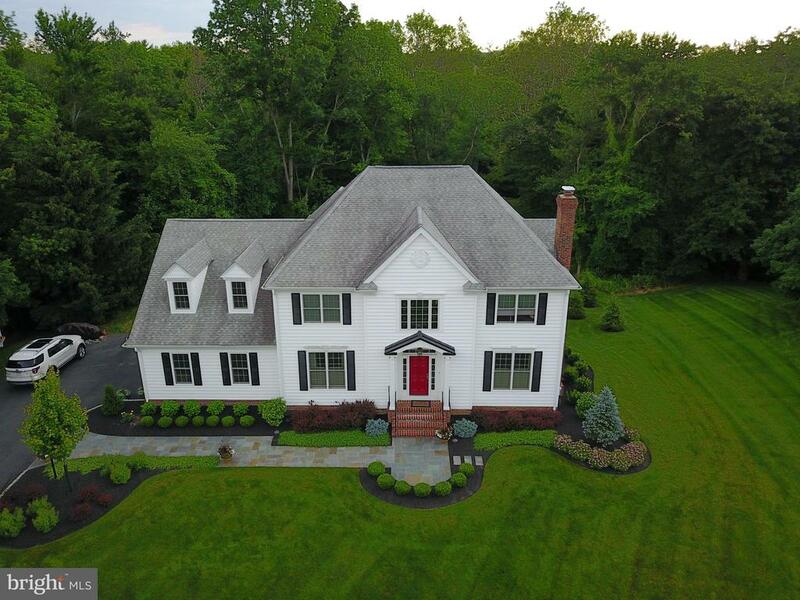 With artisan craftsmanship, a generous landscape package, quality materials and thoughtful design, this home is the perfect choice for the discerning buyer. The location of the home is peerless; equidistant to both new york and philadelphia with easy access to i-95 if your commute is to princeton. Council rock schools. You won't be disappointed with this magnificent, 4860+ sq ft custom built french normandy home on 1. 93 beautiful acres on a private cul-de-sac in desirable upper makefield township and in the prestigious council rock school district. This home, built by richard zaveta, is a true masterpiece in craftsmanship and a tremendous value since it appraised on 3/17/19 for $1,100,000. 00. Walk up to this home on the slate walkway and into the bright sunny 2 story foyer with hardwood floors, recessed lights and large coat closet. On the remainder of the first floor you'll find; formal dining room with crown molding, recessed lights and custom marble floor; grand 2 story living room with hardwood floors and a wall of windows overlooking the gorgeous grounds; updated kitchen with hardwood floors, granite counter tops, tile back-splash, high-end stainless steel appliances, wine bar with fridge, cook-top, double wall oven, built-in microwave and large breakfast room for those informal meals; the kitchen is open to the family room with gas fireplace, custom carpet, recessed lights, crown molding, custom built-in and sliding glass door to a huge custom trex deck, perfect for those summer barbecues. ; adjacent sun room with large wet bar with granite counter top, ship-lap ceiling, recessed lights, custom carpet and door to the t deck which makes this space an entertainers dream. On the first floor you will also find; a spacious master bedroom with tray ceiling and recessed lights; huge professionally outfitted his/hers walk-in closet; master bath with his and hers vanity sinks, jetted soaking tub, stall shower, linen closet and recessed lights; 2 half baths; mud room with utility sink, custom built-in, bead-board molding, recessed lights and door to the backyard. Second floor; all hardwood stairs and hallway; bedroom 2 can also be a second master with its large attached bath and walk-in closet; bedrooms 3 and 4 are large and have access to a jack & jill bath; bedroom 5/bonus room is huge and would make a perfect office or playroom; laundry room with washer and dryer included as is, built-in cabinet, counter for folding and sink. Lower level: enormous walk-out finished basement with full bath, separate gym and large storage room. Additional features: 3 car attached side garage, professionally landscaped grounds, storage shed, wrought iron fenced back yard area or dog-run, prime location close to restaurants, shopping, i95, train station and so much more!! You won't find another home of this quality offered at this price anywhere else in the area. Make your appointment today!! Built to suit! This rotelle-built custom home, the tisbury- one of our most popular models, offers everything needed for gracious living. The open design features an elegant foyer, living room with optional solarium, formal dining room with butler pantry available, and study. The gourmet kitchen with pantry and breakfast room leads into a large, spacious family room. The tisbury offers a convenient second entry door into the mud room with rear stairs leading to the second floor. The large master suite features two walk-in closets and a deluxe master bath, with soaking tub. There is a well-situated, second floor laundry room located near the rear stairs. *please note: pictures show tisbury model home with optional features not included in the pricing noted in listing. This home is not built yet-construction will be started when agreement is drawn up and signed by buyer. Call listing agent joseph bograd with questions. A rare find and true gem~welcome home to 100 saint andrews place, newtown. With over 200k in upgrades, this bruce lessor built beauty has been greatly cared for and improved by the current owners. Located on a cul-de-sac and situated on 2. 22 private acres, this home exudes timeless elegance. There are 5 bedrooms, 4 full and 2 half bathrooms, hardwood floors and soothing colors throughout. The spacious kitchen boasts granite counter tops, huge center island, upgraded appliances & breakfast room. The first floor is complete with 2 half baths, home office, wet bar, mudroom & access to the attached 3-car garage. There is a lovely sitting room as well, boasting a brick wood-burning fireplace. Sliding doors off of the family room lead you to the new & expanded azek deck providing views of your private backyard & charming little creek. On the exterior lower level, you can enjoy the newer flagstone patio & stacked stone fire pit. The 2nd level features a spacious master bedroom with a custom designed walk-in closet and en suite master bathroom. The master bathroom features an expansive vanity with new sinks & hardware, stall shower & jacuzzi tub. The additional 4 bedrooms are spacious and provide ample closet space. The hall full bath features a large granite vanity & soaking tub. The full, finished walkout basement has 3 rooms, an additional full bath & there is also potential for a 6th bedroom or in-law suite. There is a new hvac system & new marvin windows throughout. Located in the highly acclaimed council rock school district & less than 2 miles from charming & historic newtown borough restaurants and shops! 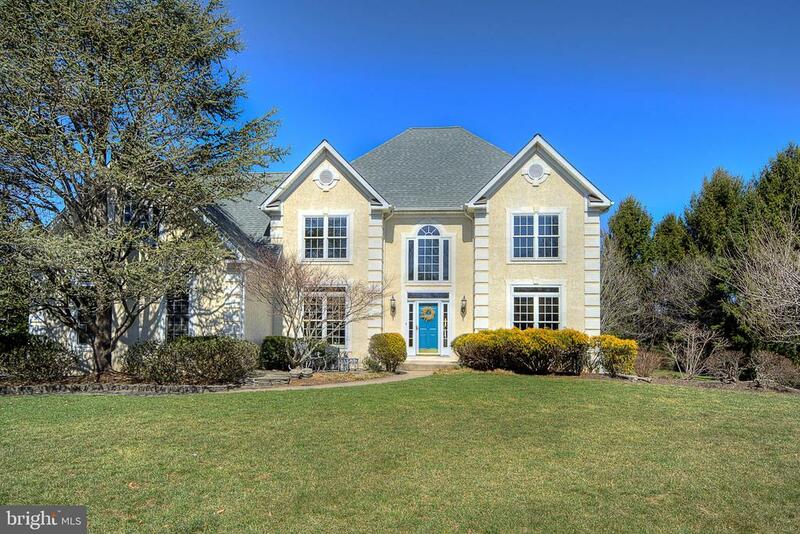 This home provides convenient access to 295 & the pa turnpike for daily commuting convenience as well. 100 saint andrews place is a special place to call home! 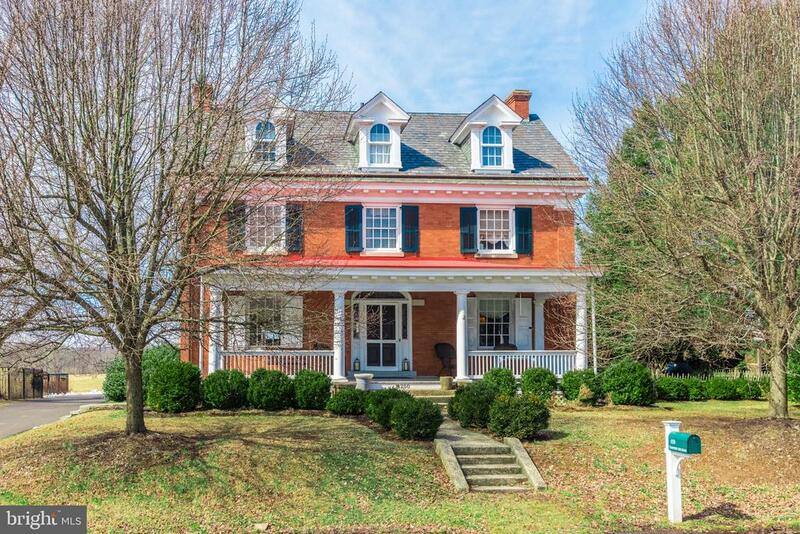 Located in historic wycombe village ~ bucks county ~ this stunning 5 bedroom brick colonial revival style home ~ known as the squire edward kirk house was designed in 1911 by noted doylestown architect oscar martin. Located midway between newtown and doylestown and bordered by 114 acres of conservation land - this exquisitely restored home offers a heated in-ground saltwater pool as well as a one-bedroom carriage house and 1 bedroom pool cottage, perfect for weekend guests, offices, in-laws, nanny quarters or generating rental income (zoning is vc-1). Once inside ~ you will find a stunning new designer kitchen with granite counters and island, white custom cabinetry, mahogany floors, stainless appliances, breakfast room with french doors leading to a fenced brick patio, and multiple windows overlooking a neighboring conserved 114 acres. Dining room with dentil molding and chair rail can be closed off with solid mahogany pocket doors. To the left of the main entrance you will find an expanded living/family room complemented by extensive mill work and featuring a fireplace with mercer tiles and original mantel. Completing the first floor is a powder room, mud room and laundry. Main staircase and separate butler's stairs both lead you up to the 2nd level where you will find three bedrooms, including the extended master bedroom complete with multiple closets and an updated full bath. The third floor has been finished with two more bedrooms and a delightful sunny bath with cast iron tub. Additional highlights include a brand new $50,000 state-of-the-art septic system, dual zoned central air, gas heat, butler's stairway, recessed lighting, mahogany doors with original oil-rubbed brass hardware, ceiling fans, and central vacuum system. This truly amazingly restored home is located in blue ribbon central bucks school district , has low taxes, and is within commuting distance of philadelphia, princeton, and new york city. The vc-1 zoning permits legal rentals, professional office and home occupation. Schedule your private showing today. 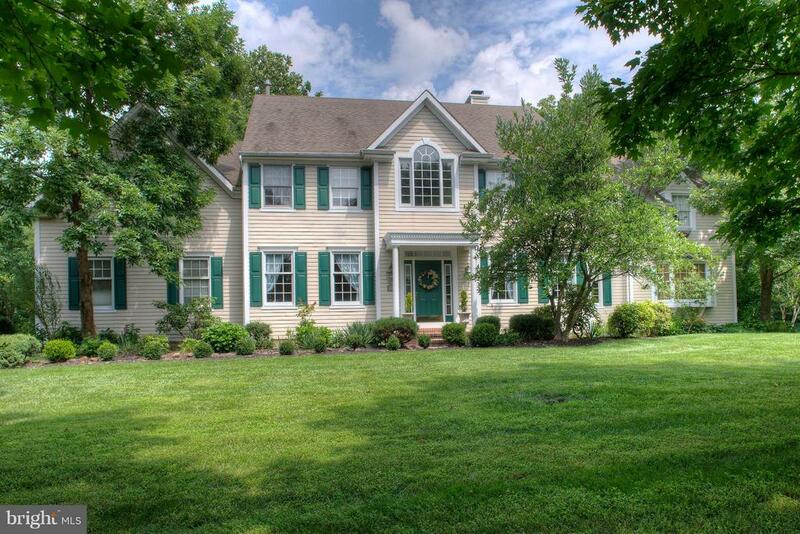 Gorgeous custom 5 bedroom 3 full, 1 half bath home in "award winning" wrightstown elementary schools. Serene 1. 61 acre lot with lots of hardscaping, bluestone walkway and paver patio, stone steps, back deck, stonewall with stairs and a bridge to one section of the yard with a tree house. The home is laid out for today's lifestyle with a main floor office that is private but not tucked away, great for today's home office. Tons of custom mill work, archways, built ins and attention to detail throughout. This home is truly one of a kind. The gourmet kitchen has a commercial range and a farmhouse sink plus a center island and an eat in kitchen with built in seating. The floor plan is flexible and open but also warm and inviting. Upstairs you will find a laundry room, generous master suite with sitting room, 2 walk in closets with organizers and a spacious master bath. 4 more well appointed bedrooms, one with a sitting room, another with a private full bath and two others connected by a large jack and jill bath. A whole house generator included! There is nothing this house needs. It is truly a rare find in council rock school district on such a quiet street so close to newtown. Welcome to belvedere! Located just minutes from river rd, adjacent to the jericho national golf club and the award winning council rock school district. This exceptional custom home situated on 1. 14 acres, right across from preserved land was built by glen colletti, with its timeless architectural style. Enter the two story grand foyer; to the left is a formal living room accented by a period fireplace mantel. To the right, a formal dining room with chair railing, moldings is completed by a two way marble fireplace. The chef~s kitchen meets the most exacting demands, with its new granite counters, stainless steel appliances, center island with recessed six burners propane stove with hidden ventilation exhaust and wall oven. Multiple pantries allow for ample storage space. An adjacent, spacious breakfast room/informal dining area is completed by fireplace and french doors leading to the bluestone patio and tastefully landscaped yard backing to the woods. The family room includes an imposing stone wood burning fireplace and french doors leading to the covered patio. The office/studio offers sweeping views of the country side and is a pleasure to work in. There is a well organized laundry room and door with inside access to the 3+ car garage. There are 9 ft ceilings on both levels. The second level features a 25x23 master suite completed by a full bath and french doors to its private balcony. Also included are 4 bedrooms and a 28x19 bonus room with its own full bathroom. The hall bath service the other 3 bedrooms the lower level, with 9 ft ceilings, could easily be finished, with its access to the garage. Located minutes to i-95 and route 1 for an easy commute to trains and philadelphia. 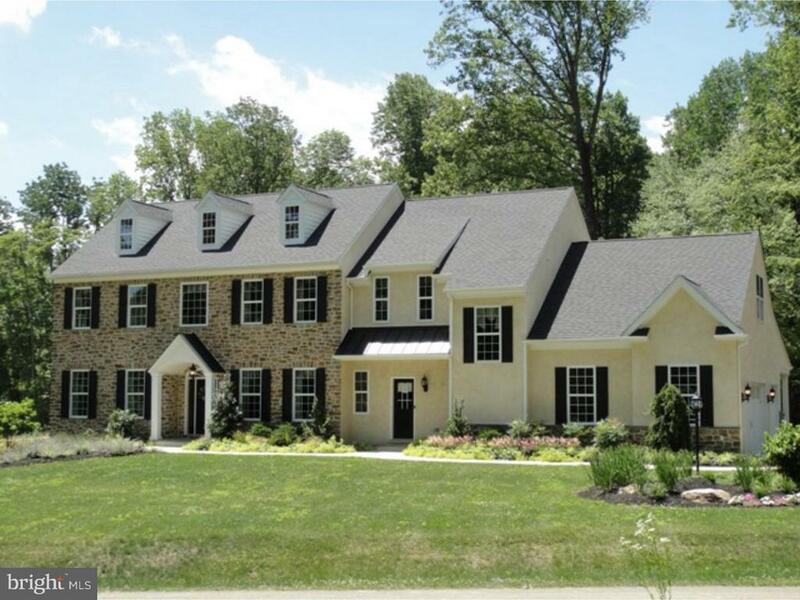 For more than 25 years, family-owned & operated rotell(e) development co has been pennsylvania~s premier home builder and environmentally responsible land developer. Headquartered in south coventry, we pride ourselves in our workmanship and stand behind every detail of each home we build. House is to be built. Come to our studio to take a look at all the various house plans we have available. We offer homes with packages that include stainless steel appliances, granite countertops, and oak treads with painted pine risers. We also offer a variety of options to make your home the dream you imagine! Call today and speak to one of our home experts at studio (e)! **please note: pictures show options not included in the listed sales price or as a standard. Listing reflects price of the tisbury ii in the (e) series.